1 Chronicles 29:10-19 records a touching prayer of David. This is probably the final public prayer of David before he died. and also the frequent occurrence of God's Name, Yahweh. 1. 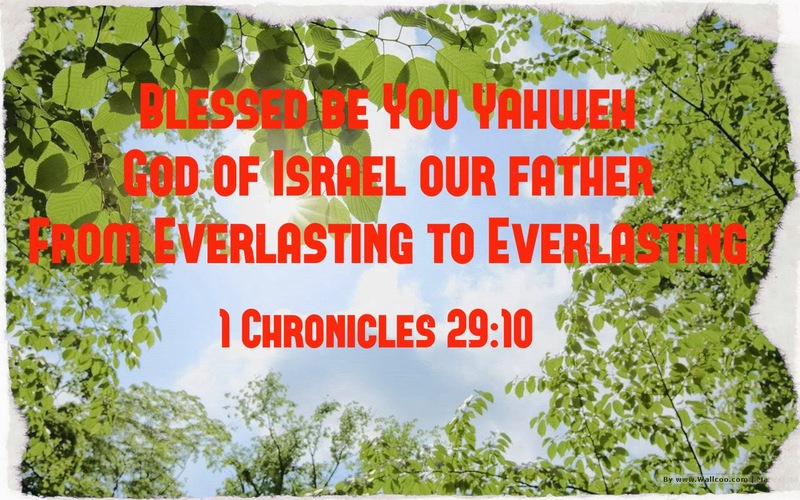 Blessed be You, Yahweh God of Israel our father, forever and ever. 3. Yours is the kingdom, O Yahweh. "Blessed be You, Yahweh God of Israel our father, from everlasting to everlasting." After this prayer, Solomon succeeded his father on the throne and reigned. David died in a good old age. It is often said that when a person leaves this earth, his final words often reflect what he deems most important in his life. Obviously, David was always in a habit of calling on Yahweh's Name from beginning to end. Praising and blessing God had always occupied a central place in David's life, even to the very end of his days. Let us follow this faithful servant of God. Let's call on God's Name and praise God's glorious Name to the end of our earthly sojourn.